Halters worn by Triple Crown winner American Pharoah; his sire, Pioneerof the Nile; and grandsire, Empire Maker, are among the exciting Thoroughbred racing-related items in an online auction to raise money for Central Kentucky Riding for Hope, the 37-year-old program at the Kentucky Horse Park that offers equine-assisted activities and therapies to people of all ages. The online auction is part of CKRH's 15th annual gala fundraiser, NIGHT OF THE STARS, on Saturday, June 23, at the Keene Barn & Entertainment Center at Keeneland in Lexington, Kentucky. Online bidding on the halters and numerous other items is available at http://KYSTARS18.givesmart.com. Farms that donated halters include Adena Springs, Claiborne Farm, Coolmore, Gainesway Farm, Godolphin, Hill 'n' Dale Farm, Juddmonte Farms, Taylor Made Farm, Three Chimneys Farm and WinStar Farm. “Hopes, Dreams and Wishes” is the theme of this year's NIGHT OF THE STARS, which features cocktails, dining and live and silent auctions. Other items include photographs of American Pharoah, along with jewelry, art and photography, antiques and collectibles, equestrian-themed items, gift certificates to local restaurants, tickets to area attractions, and items for home, garden and office. The highlight of NIGHT OF THE STARS is the live auction of CKRH students and therapy horses in themed costumes in the style of a prestigious Thoroughbred sale. Among the horses in the auction are the Thoroughbred Impressive John R., a former racehorse who participates in CKRH programs for Military Veterans, at-risk youth and Fayette County high school students; and the Morgan-cross Chico, a highly decorated hippotherapy horse. As many as 500 people annually attend NIGHT OF THE STARS. Tickets are $150 each and may be purchased by calling CKRH at (859) 231-7066. 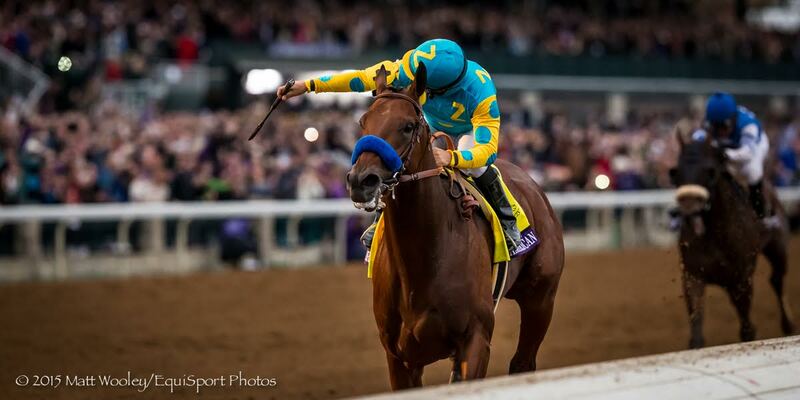 This entry was posted in Bloodstock and tagged 2018 breeders' cup, american pharoah, arrogate, Breeders' Cup, California Chrome, central kentucky riding for hope, ckrh, horse racing and breeding, Paulick Report, thoroughbred, war front by Press Release. Bookmark the permalink.